Betty Buckley, star of stage, screen and television will accept the “Actor of the Year” Award at this year’s Sarah Siddons gala fundraiser. Ms. Buckley, who has been called "The Voice of Broadway," is one of theater's most respected and legendary leading ladies. 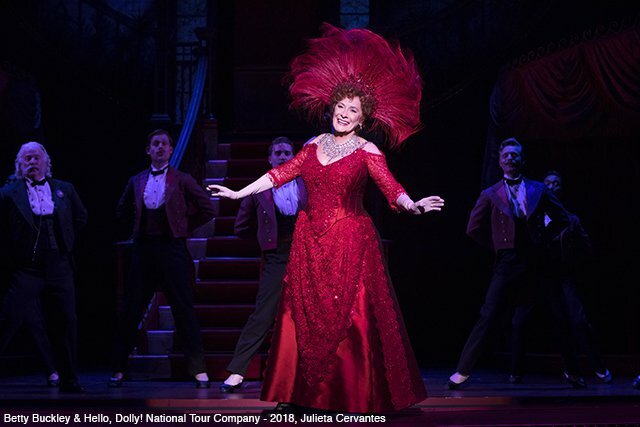 2018 also finds her leading the first national tour of Hello, Dolly!, as Dolly Levi, which will play Broadway In Chicago’s Oriental Theatre (24 W. Randolph) for a limited four-week engagement October 23 through November 17, 2018. She is also currently co-starring in AMC’s hit series “Preacher”. Among her many illustrious credits, Betty Buckley is a Tony Award winner, Olivier Award nominee and American Theater Hall of Fame inductee. “The Sarah Siddons Society is honored to name Betty Buckley as our 2018 Actor of Year awardee. With this well-deserved recognition, Ms. Buckley joins an illustrious group of stage legends recognized by the Sarah Siddons Society during the past 66 years. We couldn’t be more excited than to honor her remarkable contributions to the American stage with this year’s award”, said Marty Balogh, President of the Society. Theatre lovers and their guests will mingle during a cocktail reception, dinner and awards ceremony, and will have the chance to bid on luxury items in a silent auction. Honorary Chair of the Event is Broadway in Chicago Vice President, Eileen LaCario. Bill Zwecker of Fox TV will act as Master of Ceremonies. Entertainment will be provided by some of Chicago’s most talented luminaries TBA. All proceeds of the event benefit the Sarah Siddons Scholarship Fund. The event will begin with cocktails at 6:30 pm, followed by dinner and the awards presentation at the University Club of Chicago, 76 East Monroe, on Monday, November 12, 2018. Tickets are $265 each. 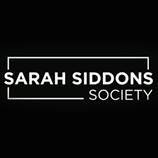 For more information, please visit the Sarah Siddons website at sarahsiddonssociety.org. Since its inception over 65 years ago, the Sarah Siddons Society has granted scholarships to outstanding theatre students from the city’s top theatre programs at Northwestern University, DePaul University, Columbia College Chicago and Roosevelt University. The mission of the Society is to assist the next generation of rising stars fulfill their dreams. Betty Buckley (Dolly Gallagher Levi) called “The Voice of Broadway” by New York Magazine, is known as a legendary, multi-award-winning performer, and is a 2012 Theatre Hall of Fame inductee and 2017 recipient of the Julie Harris Award for Artistic Achievement, given by The Actors Fund. Her Broadway credits include Triumph of Love (Tony Award nomination), Sunset Boulevard, Carrie (Outer Critics Circle Award nomination), Song and Dance, The Mystery of Edwin Drood, Cats (Tony Award), Pippin, and 1776. Ms. Buckley’s London stage credits include Dear World; Sunset Boulevard (Olivier Award nomination); and Promises, Promises (Evening Standard Award nomination). Off Broadway, her credits include Old Friends (Drama Desk Award nomination), White’s Lies, Elegies, The Eros Trilogy, Juno’s Swans, I’m Getting My Act Together and Taking It on the Road. Regional: Grey Gardens (Ovation Award nomination), Old Friends, Arsenic and Old Lace, The Threepenny Opera, Buffalo Gal, Camino Real, Gypsy. Film: Split (Saturn Award nomination), The Happening, Wyatt Earp, Another Woman, Frantic, Tender Mercies, Carrie.